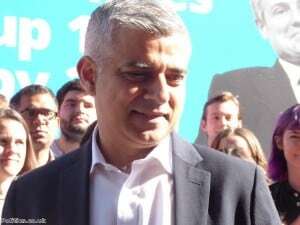 The Freight Transport Association (FTA) has welcomed the appointment of newly-elected London Mayor Sadiq Khan and stated that the body hopes to work closely with the mayor's office in the years ahead. Hoping to create a lasting and beneficial relationship, the FTA has welcomed Mr Khan to his new post, as well as all the new members of the London Assembly. FTA head of national and regional policy Christopher Snelling commented: "There are three things we think the new mayor should pursue immediately to help make London a better place to live and work." An urgent review of the existing London Lorry Control Scheme to address restrictions on night-time deliveries. The introduction of discounts on the congestion charge for the latest generation of clean lorries and vans. An increase in support for the enforcement of HGV regulations in London. By focusing on these three areas of concern, it is hoped that the coming four years under the tenure of Mr Khan will be a positive period for the London logistics sector, as well as being a highly beneficial time for the whole of the English capital. The body now hopes to secure a meeting with the new London Mayor at his earliest convenience to discuss these proposals in more detail and to assess other means of supporting the city's essential logistics providers in the years ahead.